Stone blocks made in Germany since 1880. 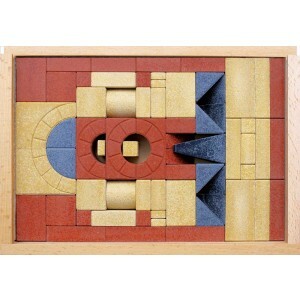 3D play for ages 4 to 99, build simple and free-form or accurate architectural models. Made from quartz sand, chalk, linseed oil. Welcome to Anchor Stones (Anker Steinbaukasten) @ euroSource! 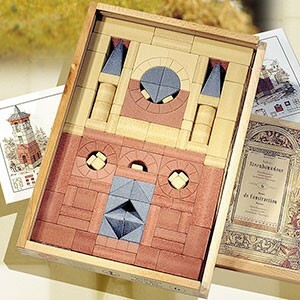 Stone building block sets made in Germany since 1880. Architectural and free-form building toys that are natural and long-lasting. Visit Kathe Kruse @ euroSource for dolls, soft toys for babies, toddlers.